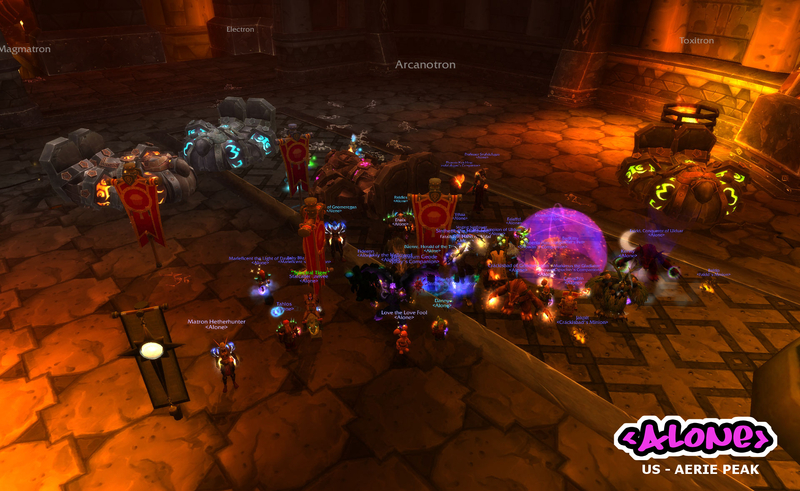 8/13 Heroic 25 man, watwat. More shinies, 'cause one does not simply walk into Mordor. You need to be prepared! #880 25 man guild in the world! Awesome guys, let's keep up the good work! Plug in on the left says Omnitron, so that's why I wrote it like that both ways. Whaddafack?! I'm gone for a week and you guys down 2 new heroic bosses. Maybe my boyish good looks was too much of a distraction. Grats guys! This is the first Hardmode that you guys downed without me being there!! i guess its time for me to retire. By the way what's with the Lord of the Rings quote? Saw something on reddit literally 30 sec before writing this essentially that had the quote. Was fresh in my mind and well frankly LotR is relevant to everything :D.